St. Paul Saints Manager George Tsamis has been relatively quiet this off-season, at least in terms of signings, but that changed on Monday when it was announced that the team re-signed John Straka, and added two big arms in reliever Mike Devine and starter Eddie Medina. That brings the total number of players signed by the team to 10 while doubling the pitching staff. John Straka has spent parts of the last two seasons with the St. Paul Saints, but his contract has been purchased by the Toronto Blue Jays in each of the last two years. The right-hander came to St. Paul in 2016, after posting an 11-3 record in Sioux City the year before. He was an instantaneous success with the Saints, going 10-3 in 16 starts, when the Blue Jays purchased his contract. He returned to St. Paul in 2017, only to have his contract purchased after going 3-4 in 10 starts. Straka made eight combined appearances for Toronto, pitching at High-A Dunedin and AA-New Hampshire. Also signed were RHPs Eddie Medina and Mike Devine, both of whom were with the Wichita Wingnuts last season. The two right-handers had been traded to Sugar Land (Atlantic League) during the off-season, but were released earlier this month. Devine has played his entire career in independent ball, starting with Traverse City in the Frontier League in 2012. He would eventually move to Normal, and then onto Lake Erie in 2015, before finishing the 2016 season with the Wingnuts. He went 1-0 with a 2.08 ERA in 10 appearances that year. 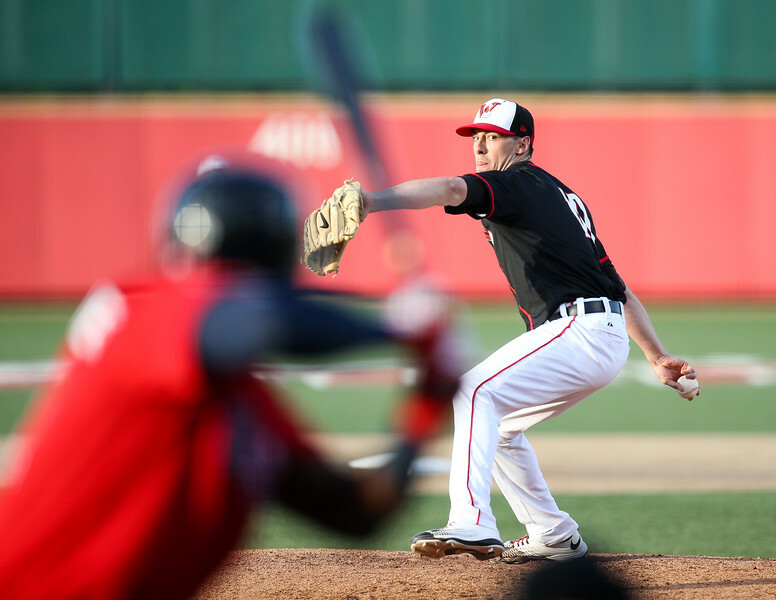 Last season, the big right-hander returned to Wichita, where he had a dominating season. In 44 appearances, Devine went 3-4 with 2 saves and 2.25 ERA. The reliever showed great control, allowing just 11 walks in 44.0 innings pitched. He allowed 35 hits and struck out 34. Eddie Medina, like Devine, has pitched exclusively in independent ball. In 2013 he began his professional career with Las Vegas in the Pecos League. 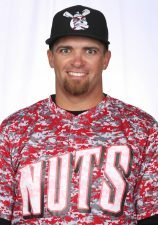 The right-hander then spent a season in the now defunct United League, before joining the Wichita Wingnuts for the stretch run in 2015. He finished 4-1 in 8 starts that season. In 2016, Medina returned to Wichita, where he had a solid campaign, going 6-6 with a 5.56 ERA in 20 appearances, 14 of which were starts. That was only a small taste of the good things to come. Last year was a breakout season for the right-hander. In 17 appearances, 14 starts, Medina went 9-3 with a 3.08 ERA, which was seventh in the American Association. The righty walked just 25 in 90.1 innings pitched, while striking out 68. With the addition of the three right-handers, the St. Paul Saints pitching staff is taking shape. Devine will join former AAA hurler Beck Wheeler in the bullpen, as well as RHP Vinny Nittoli and LHP Ken Frosch, who both pitched with the club last season. Medina and Straka could easily be the No. 1 and No. 2 starters for the club. The Texas AirHogs acquired RHP Fabio Martinez from the Kansas City T-Bones in exchange for a player to be named later. The right-hander pitched for the Lincoln Saltdogs last season, where he was 2-3 with a 4.60 ERA in 35 appearances…Kansas City also announced the signing of RHP Frank Duncan. Duncan started his career with the Pittsburgh Pirates organization, reaching AAA-Indianapolis in just three seasons. Last season he was with the Arizona Diamondbacks, where he pitched at AA-Jackson and AAA-Reno. 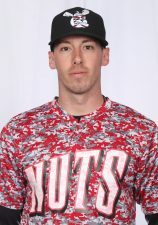 Combined, the right-hander was 9-10 with a 6.29 ERA in 26 starts…Infielder Logan Watkins signed with the Wichita Wingnuts. Watkins reached the Majors in 2013 and 2014 with the Chicago Cubs. Last season he split time between AA-Erie and AAA-Toledo with the Detroit Tigers Organization. The infielder hit a combined .242 with 2 homers and 21 RBI in 85 games…The Chicago Dogs announced the signing of LHP Kylin Turnbull and IF Tony Thomas. Turnbull has been with the Washington Nationals organization since he was drafted by the club in 2011. Last year he returned after missing two full seasons with an injury, pitching at High-A Auburn. Thomas was a St. Paul Saints favorite over the last two seasons. The infielder was an All-Star in 2016, hitting .296 in 98 games. Last year, Thomas hit a career high 18 homers, while hitting .287 in 88 games…OF Matt Helms was acquired from Ottawa (Can-Am League) by the Cleburne Railroaders. Last season, Helms had a breakout season, hitting .296 in 97 games with 6 homers, 32 RBI, and 48 runs scored…The Sioux Falls Canaries signed C Maxx Garrett and RHP James Jones. Jones pitched for the Canaries last season, going 3-3 with a 2.57 ERA in 36 appearances. The righty struck out 47 in 42.0 innings pitched. Garrett had been with the Saints the last two seasons. He has always been a fine defensive catcher, but had a solid offensive campaign in 2017, hitting .254 in 54 games with 24 RBI. 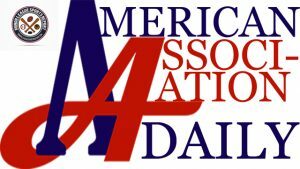 The American Association also announced that several players had their contracts purchased by Mexican League teams. St. Paul Saints IF Dan Johnson and RHP Andrew Gutierrez both signed with Leon. Sioux City OF Tony Campana signed with Aguascalientes as did Kansas City T-Bones IF Jerome Pena. T-Bones OFs Cedric Hunter and Nike Vasquez also signed with Leon. Texas AirHogs RHP Leuirs Gomez signed with Laguna. « New Found Love of Game Inspires James Campbell to Return to Wingnuts	» NBA G-League Playoffs Begin Today!